The Burlesque TOP 50 2015 results are almost done! TOP 3 to come! Who: Shimmering visionary famed for her evocative, ethereal acts. In 2015: On screen, Vicky appeared on The Paul O’Grady Show and featured in BBC4 special What A Performance. UK performances included Carlisle, London, Worthing, Edinburgh Fringe, Nottingham, Belfast, Ilkley, Bath, Tiverton, the Hebden Bridge Burlesque Festival and Burlesque Noir (with Tempest Storm) at the Blackpool Tower Ballroom. International appearances included Austria, Moscow, Lyon, Vienna, Zurich, Geneva, and headline spots at the first Polish Burlesque Festival, the Toronto Burlesque Festival, the Perth International Burlesque Festival and the Australian Burlesque Festival. Who: Smouldering señorita renowned for her beautiful costumes – which she makes herself! First Runner Up in the Miss Exotic World competition in 2014. 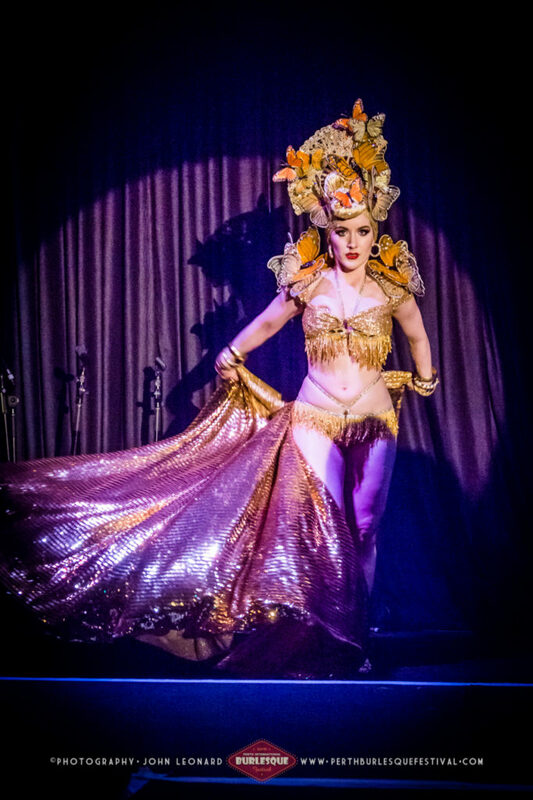 In 2015: Media headlined the Minneapolis Burlesque Festival, the Perth Burlesque Festival and the Australian Burlesque Festival, performed in Tampere, Finland, and debuted new act ‘Seven Veils’ at the New Orleans Burlesque Festival. She also performed at W Hotel’s #‎RocktheEmpire event in Singapore, curated by Dita Von Teese. Who: Headmistress of the New Orleans School of Burlesque, prolific producer, vivacious and versatile performer. In 2015: Bella headlined The Great Burlesque Exposition in Boston, The Vienna Boylesque Festival, The Oklahoma City Burlesque Festival and The Snake Oil Festival. The New Orleans School of Burlesque opened its own studio after a successful Go Fund Me campaign, and she started producing new show Risq: A Burlesque Revue at Harrah’s Casino in New Orleans (alongside regular shows The Dirty Dime Peepshow, The NOSB Student Showcase, Strip Roulette and The Blue Book Cabaret). Bella spoke to 21st Century Burlesque Magazine about the now infamous Lucky Pierre’s incident early in 2015, but emerged from the episode with her usual class, integrity and professionalism. Who: An “electrifying tour de force in aggressive sensuality”. Winner of ‘Most Innovative’ at the Burlesque Hall of Fame Weekend 2014. In 2015: #TourGalore15 covered Amsterdam, Vienna, Switzerland, Finland, Bratislava, Estonia, Toronto, Brussels, Perth, Adelaide Fringe Fest, Edinburgh Fringe, Tel Aviv, Paris, Bruges, and US appearances in Austin, Texas, St. Louis, Missouri and San Francisco. She was also a headliner at the International Welsh Cabaret Festival and appeared in Burlesque Noir, starring Tempest Storm at the Blackpool Tower Ballroom. In 2016, Aurora’s solo show Glamorous Weirdo will appear at World Fringe Festival Perth and London Wonderground. Dirty Martini at the Burlesque Hall of Fame Weekend Tournament of Tease in The Orleans Showroom, Las Vegas. ©Chris Harman/Harman House Photography for 21st Century Burlesque Magazine. Not to be used without permission. Who: Neo-Burlesque ICON. Trailblazing pioneer and all-round badass. Miss Exotic World, Reigning Queen of Burlesque 2004. In 2015: Dirty went on tour with Cabaret New Burlesque in Marseille, Paris, Finistere and Copenhagen. She headlined at the Micca Club, the Florida Burlesque Festival, the New York Burlesque Festival and the Vienna Boylesque Festival. 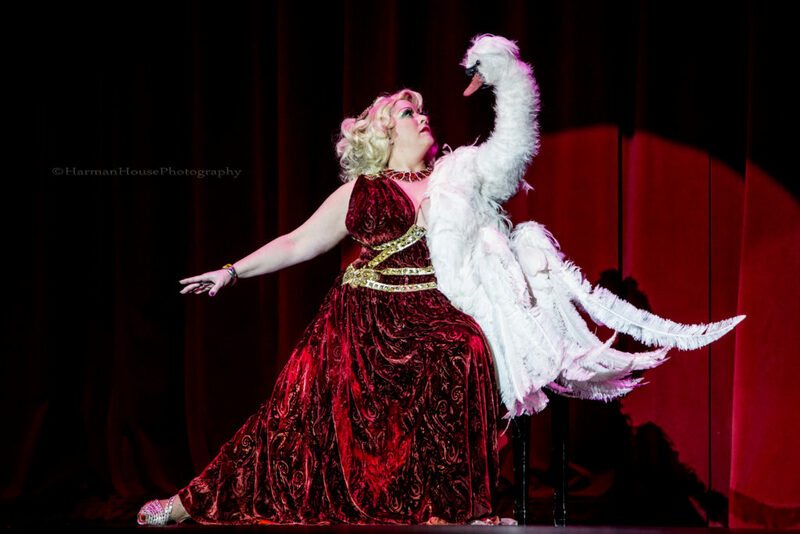 She performed her ‘Leda and the Swan’ act at the Burlesque Hall of Fame Weekend, and returned to Vegas for Melody Sweets’ Big Top Circus burlesque show with fellow titan Julie Atlas Muz. Dirty also teamed up with Dita Von Teese to read excerpts of Dita’s new book at its NYC launch. Who: Best Boylesque at the Burlesque Hall of Fame Weekend 2014. Designer, costumer, real life Disney Prince (with a cherry stuck on his crotch and riding a cannon, obvs). In 2015: The Gorgeous One headlined the Vienna Boylesque Festival, the Las Vegas Burlesque Festival, Seattle Boylesque Festival, Vancouver International Burlesque Festival, the New York Burlesque Festival, and took to the stage at the Burlesque Hall of Fame Weekend to ride aforementioned cannon. He also joined Reigning Queen Trixie Little and The Evil Hate Monkey for their annual Holiday Spectacuthon in Baltimore. Who: “The Powerhouse of the Midwest”. Miss Viva Las Vegas 2012. Producer, instructor, stage slayer. In 2015: Jeez headlined at the Oklahoma City Burlesque Festival, Edmonton Burlesque Festival and Minneapolis Burlesque Festival, and Jeezy’s Juke Joint made its Indianapolis debut after four successful years in Chicago and St. Louis. Jeez also captured the attention of the wider community in 2015 with a brave video about her troubling experience at the New Orleans Burlesque Festival, to which she added a written introduction for 21st Century Burlesque Magazine readers. SIGN UP to receive alerts about new burlesque features and Burlesque TOP 50 2015 results straight to your inbox!